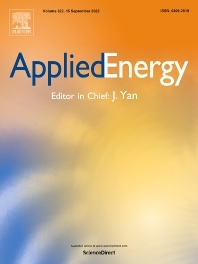 Applied Energy provides a forum for information on innovation, research, development and demonstration in the areas of energy conversion and conservation, the optimal use of energy resources, analysis and optimization of energy processes, mitigation of environmental pollutants, and sustainable energy systems. The journal publishes original papers, review articles, technical notes, and letters to the editor. Authors are encouraged to submit manuscripts which bridge the gaps between research, development and implementation. The breadth of coverage ranges from innovative technologies and systems of both fossil and renewable energy to the economic industrial and domestic use of energy with no or minor impact on the environment. Applied Energy is also concerned with the attendant problems of modeling and forecasting, conservation strategies, and the environmental, social and economic impacts of energy policies and usage, including climate change mitigation and other environmental pollution reduction.